It also said 13 million more people would be without health insurance by 2027. The proposed Senate Republican tax bill would increase the nation's deficit by more than $1.4 trillion over the next decade and disproportionately hit lower-income taxpayers, according to a new Congressional Budget Office analysis. 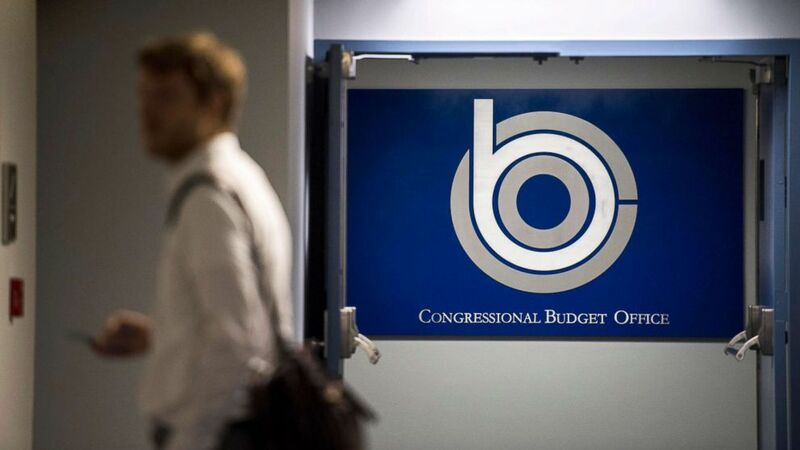 The CBO, a nonpartisan agency charged with projecting the effects of legislation on the nation's finances, released its report Sunday before an expected fight this week over the plan's passage in the Senate. Two Republicans -- Sens. Ron Johnson, R-Wis., and Steve Daines, R-Mont. -- have already voiced opposition to the sweeping overhaul of the tax code that alters the number of tax brackets, lowers corporate tax rates and repeals the individual health care mandate, among other changes. One additional Republican "nay" vote would likely be enough to ensure the bill's failure. Sunday's report could provide additional hurdles for the Republican senators still undecided on the plan given its conclusions on how net changes to revenue and spending are allocated across income groups. People with incomes less than $30,000 would ostensibly pay more in taxes when compared to the benefits they receive under the bill, the CBO found, due in part to reduced government outlays to support health care for such low-income individuals. Those earning less than $30,000 would be worse off under the plan by 2019, given the decrease in benefits versus their tax contributions, while those earning less than $40,000 would join the group of people who are worse off by 2021 and those earning less than $75,000 by 2027, the analysis estimates. (The Washington Post/Getty Images, FILE PHOTO) The Congressional Budget Office hallways on the 4th floor of the Ford House Office Building, in Washington D.C., June 26, 2017. The agency notes, however, that it does not incorporate "the budgetary effects of any macroeconomic changes that would stem from the proposal." Some Republicans have argued that the plan would grow the economy and grow incomes, which could negate possible negative effects on taxation. On the deficit, a more than $200 billion decrease in direct spending is coupled with a more than $1.6 trillion decrease in revenues to result in the $1.4 trillion deficit increase estimated by the agency. By including a repeal of the 2010 Affordable Care Act's individual mandate, requiring that all Americans with the ability to pay for it purchase health insurance, the CBO wrote that the number of people with coverage would drop by 4 million in 2019 and by 13 million in 2027. Average premiums in the insurance marketplace, it adds, would increase by roughly 10 percent each year when compared to estimates under existing law. The CBO previously said the tax bill passed by the House of Representatives just under two weeks ago would result in a $1.7 trillion deficit increase.